What is "Students for Zero Waste Week"? As part of Students for Zero Waste Week campaign, attention is focused on, but is not limited to reducing single-use plastics items. Students for Zero Waste Week is a great opportunity to raise school and community awareness about how we all can reduce waste and be better ocean stewards! 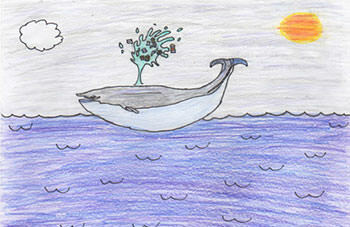 Students for Zero Waste Week is a separate campaign from the Ocean Guardian School program. 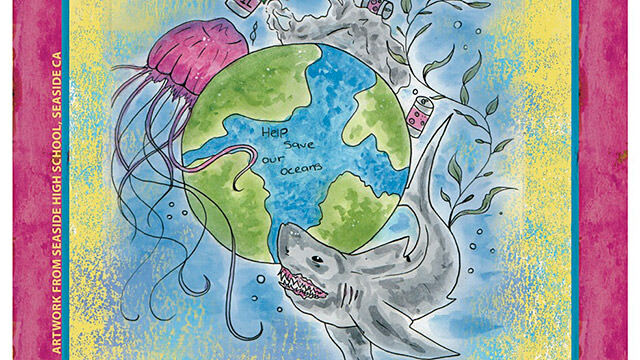 Any K-12 school is welcome to participate in Students for Zero Waste Week without having to participate in the Ocean Guardian School program. 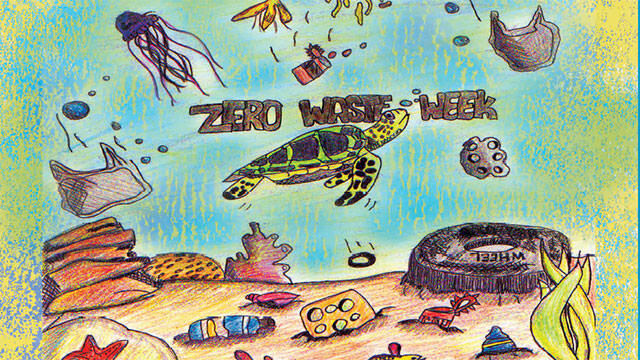 In addition, Ocean Guardian Schools are NOT required to participate in Students for Zero Waste Week. 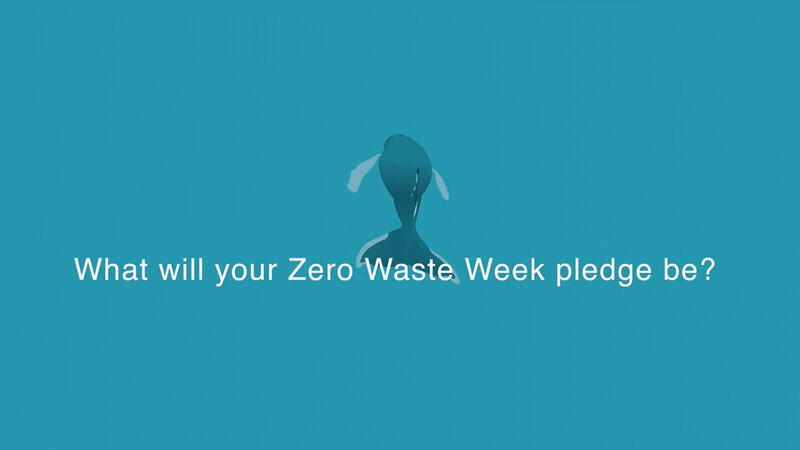 For more information about Zero Waste Week and how to involve your school, view the Zero Waste Week informational video. Students and their communities are encouraged to share their progress on social media using #zerowasteweek. 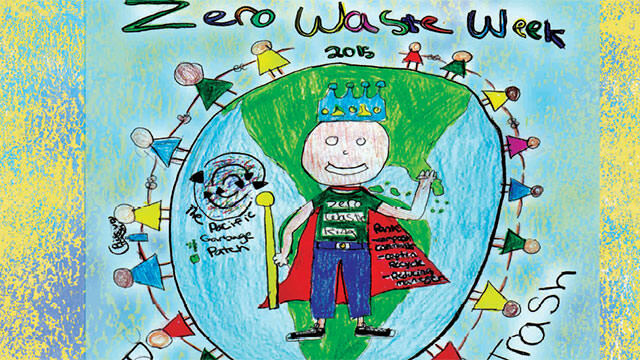 Students for Zero Waste Week invites you to take the Zero Waste Week Challenge to reduce waste at your school, in your community and at home. The list below is not complete. 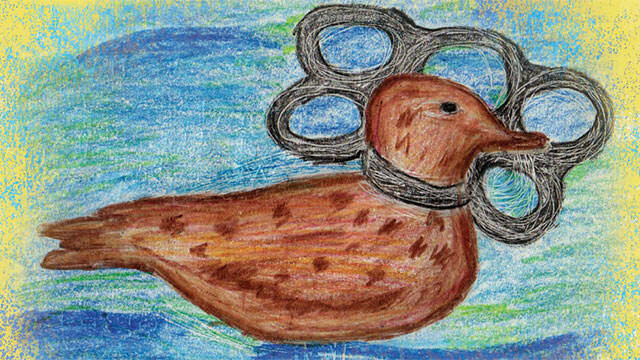 Can you think of other ways to reduce waste and help keep our ocean clean? 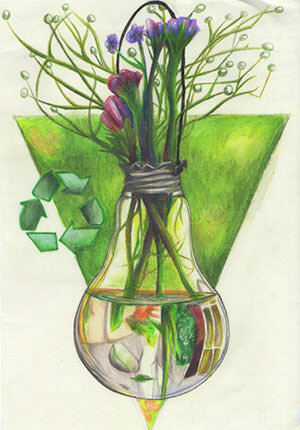 Zero Waste Week Art Contest! Please Note: Artwork will not be returned. 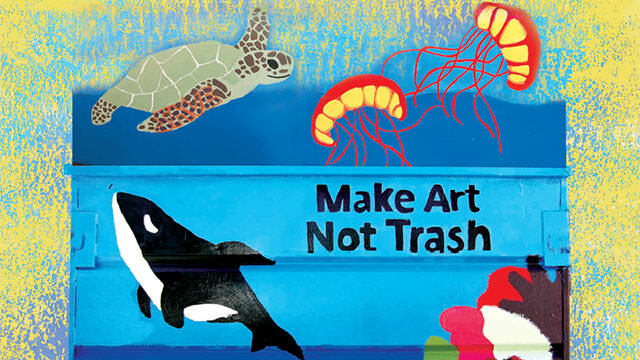 Submission of artwork implies permission to use the student’s artwork by the Office of National Marine Sanctuaries for Students for Zero Waste Week and other educational programs and/or outreach in both print and web-based. The students’ names will not be used. Only the students’ school names will be printed with the artwork. 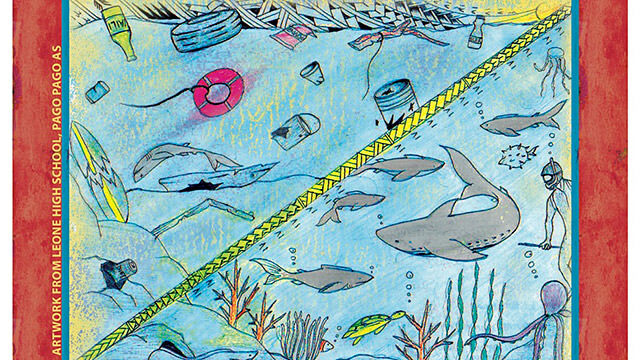 Students make a big impact when it comes to reducing marine debris! 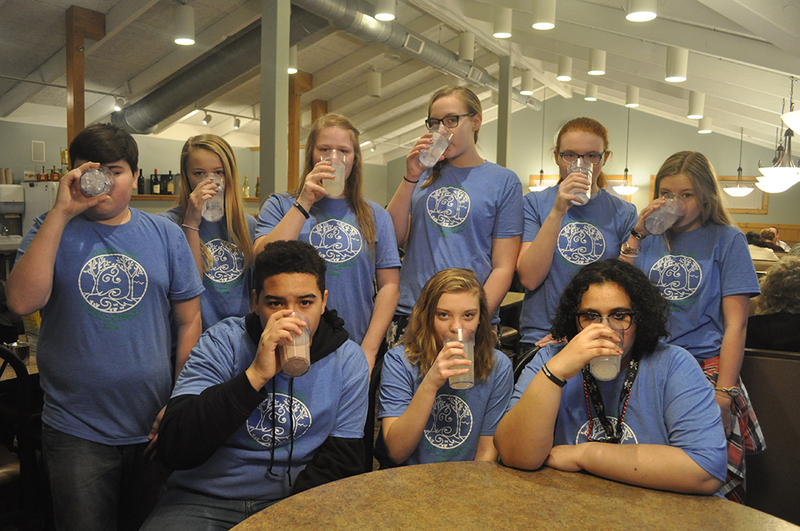 This year, students from Whitehall Middle School in Whitehall, Michigan launched a campaign to raise awareness about plastic straw pollution. 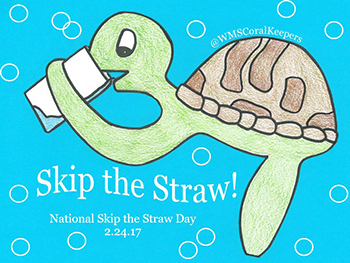 Under the advisement of 8th grade Earth science teacher Susan Tate, the group of students -- who call themselves the Coral Keepers -- decided to petition the National Day Calendar organization to create “National Skip the Straw Day.” The day launched this year and will occur each year on the fourth Friday in February. Up to 500 million straws are used each day in the United States, and all that plastic can have a negative effect on marine and Great Lakes wildlife. Instead of biodegrading, plastic straws break down into smaller pieces called microplastics, which are frequently mistaken for food by wildlife. 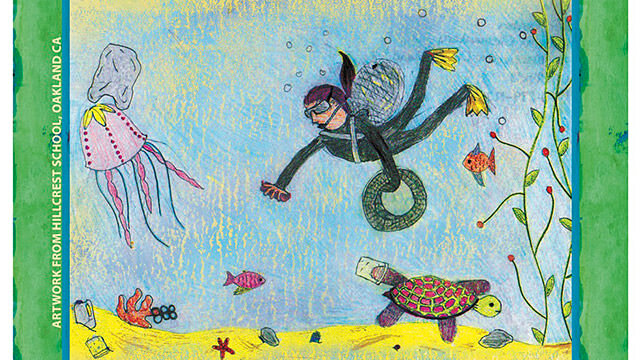 The Coral Keepers’ initiative helps raise awareness about the problems of plastic pollution. 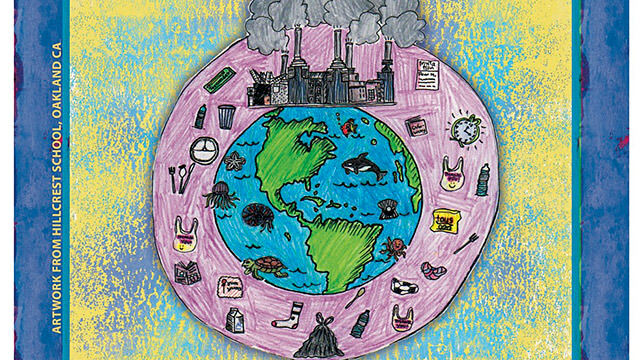 This spring, students at Whitehall Middle School will be continuing their efforts to reduce marine debris by participating in Students for Zero Waste Week. 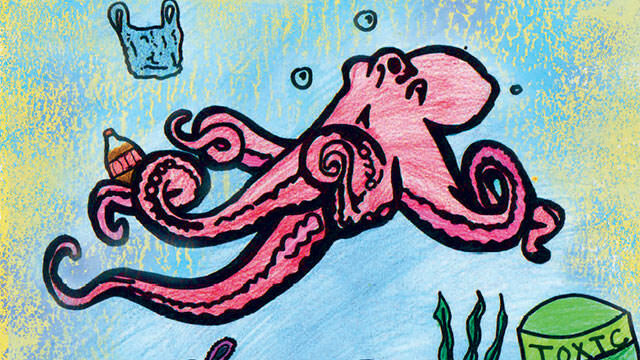 The Coral Keepers are organizing a school-wide letter writing campaign to encourage restaurants to decrease their reliance on single-use plastic. 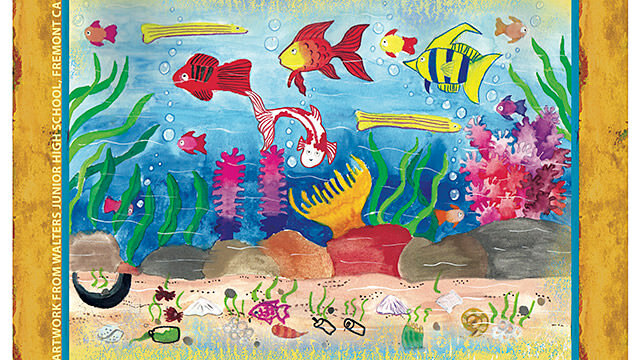 Students will encourage the use of paper straw over plastic, signage that reminds people to skip the straw, and policies of straws on request; students may also write restaurants about foam takeout boxes, plastic silverware, and other items that have the potential to become marine debris. 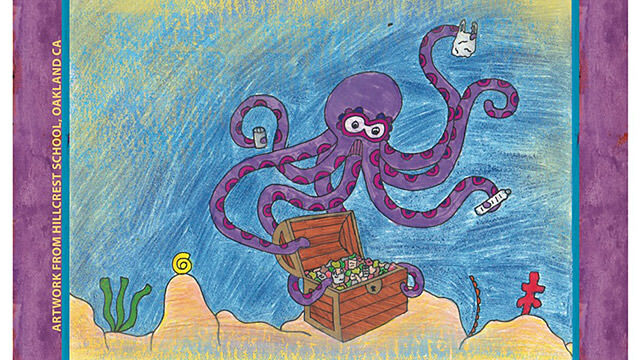 Through their Skip the Straw Day initiative and Students for Zero Waste Week, Whitehall Middle School students are leading the charge to care for marine habitats. By educating their communities in person and online, students like these can raise awareness and create lasting change for our ocean and Great Lakes. 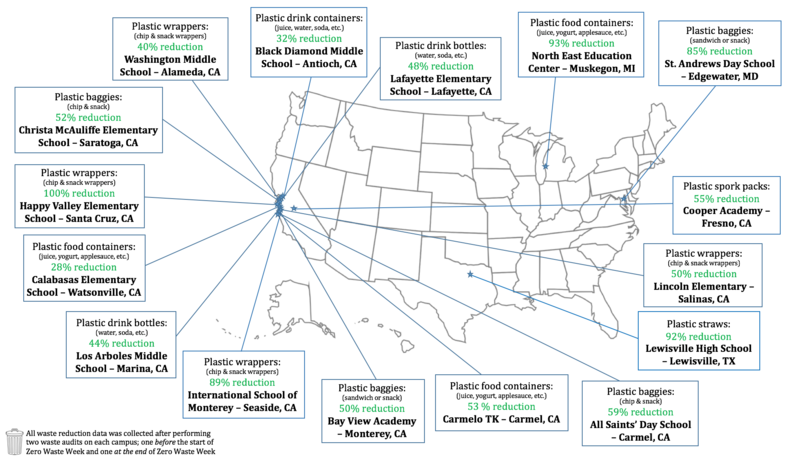 Students for Zero Waste Week encourages participating schools to use Litterati to help document litter hotspots and identify the most common brands and products that make up litter profiles. 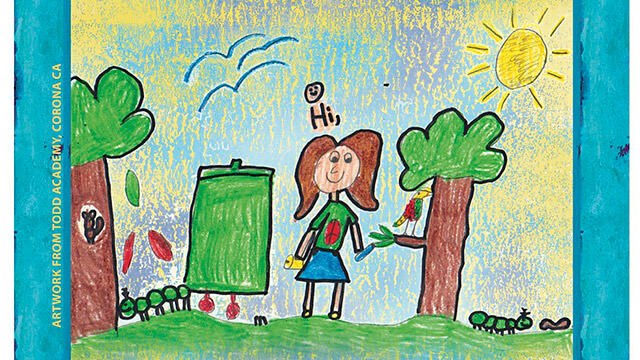 Students for Zero Waste Week was established in 2013 by eight schools in and around the Carmel River watershed in central California. These eight schools are part of NOAA's Ocean Guardian School program, a program funded through the Office of National Marine Sanctuaries which encourages students to become "guardians" of the ocean through stewardship-based projects on campus and in their communities. Download this PowerPoint and notes for a fundamental overview of marine debris and its impact on the world's ocean and special places such as national marine sanctuaries. The PowerPoint may be edited to best fit your Zero Waste Week activities and/or your school audience.